Keep Mom Active and Lookin' Cute in Gaiam Apparel! Sometimes, Moms can be really hard to buy for because they can never think of something that they want! I know I have that problem because I spend so much time thinking about what every one else needs and wants all the time, I never really have the time to think about what I want! So treat your Mother this Mother's Day really special and buy her a gift from Gaiam! Whether she knows what she wants or not, whether you are looking for a gift for an expecting mom, mom with young children, or any woman in their life who likes to work out – Gaiam has a variety of DVDs and apparel to help them stay fit this spring and summer! You are sure to find the perfect gift! You can't go wrong with apparel for a woman! 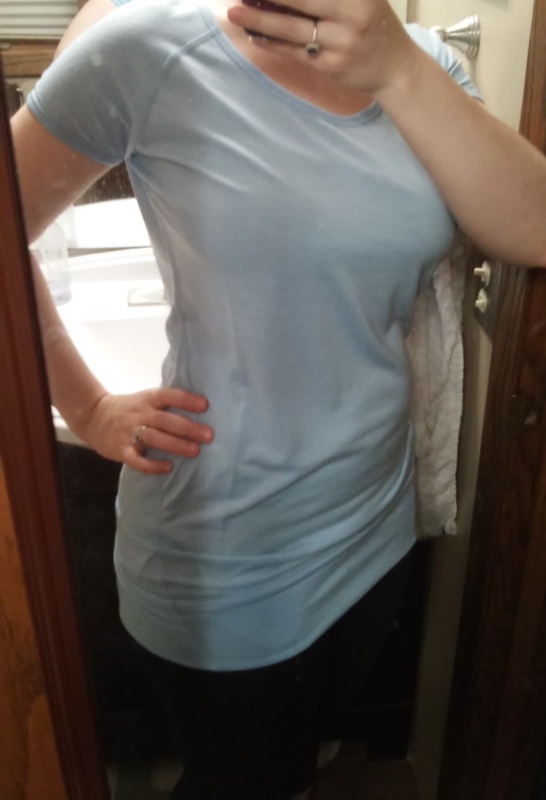 Most women LOVE getting new clothes and I am definitely one of them - especially if it is comfortable, cute and great for all day wear! I have always found all of those characteristics in the apparel from Gaiam! And this Spring, you can have your mom work out in style with Gaiam’s new line of Spring Apparel ($38 - $78) that she can go from the studio to the street without skipping a beat! Made from SOFTech fabric, an ultra-soft moisture wicking and quick-drying material in fun patterns and pastels, she’ll never want to wear anything else. I am loving the Curve Capri and Petal Tunic in Chambray Blue from Gaiam! The Curve Capri fits me like a glove and I absolutely LOVE wearing them whenever I can; to play volleyball, running, yoga, or just to run around with the kids! This capri pant fits in all the right places no matter what movement or pose you put them through. Made with an ultra soft, breathable, quick-drying stretch fabric, and a 3’’ wide comfort waistband, you’ll love how these pants both fit and feel. Side mesh insets and ruching near the leg opening give these pants the fun and fierce detail you want while keeping your focus on your workout. And the Petal Tunic is also now a shirt I reach for during workouts and to run errands..or just to be comfortable! It is so comfortable and a really pretty blue! 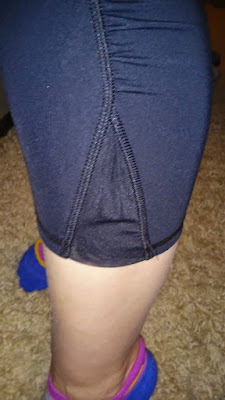 I love the extra length at the bottom that looks great with yoga and capri pants! Stay covered during any pose with this ultra-soft and lightweight Petal Tunic. Its tunic length, with wide stay-put waistband, provides coverage when you need it, but simply ruch it up for more ease. You will love the way you look with its forward placed seams, cap sleeve design and a pleated back panel with center seam detail. So make sure to head over and check out Gaiam's cute and comfortable apparel for the active mom in your life! You can purchase all Gaiam apparel from the Gaiam website.